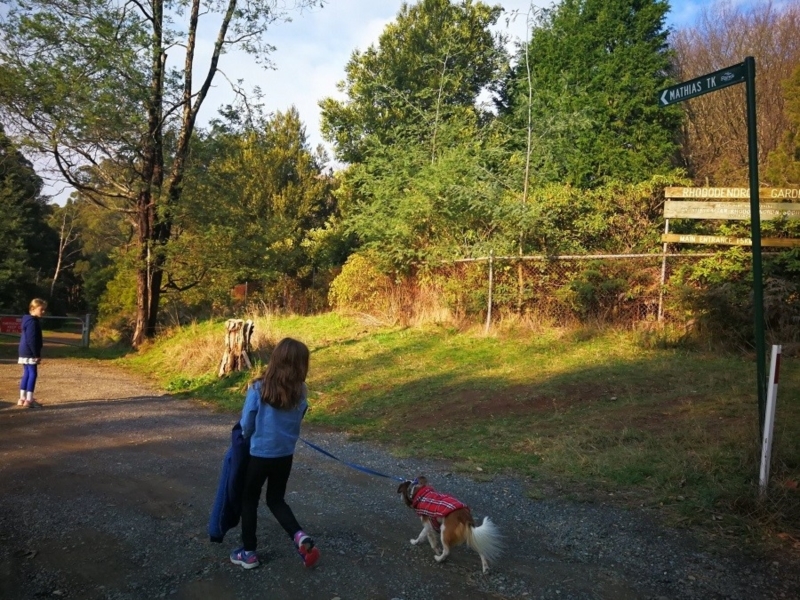 Mathias track in beautiful Olinda is one of Victoria's most popular on-lead walks for dog owners and their four-legged pals. 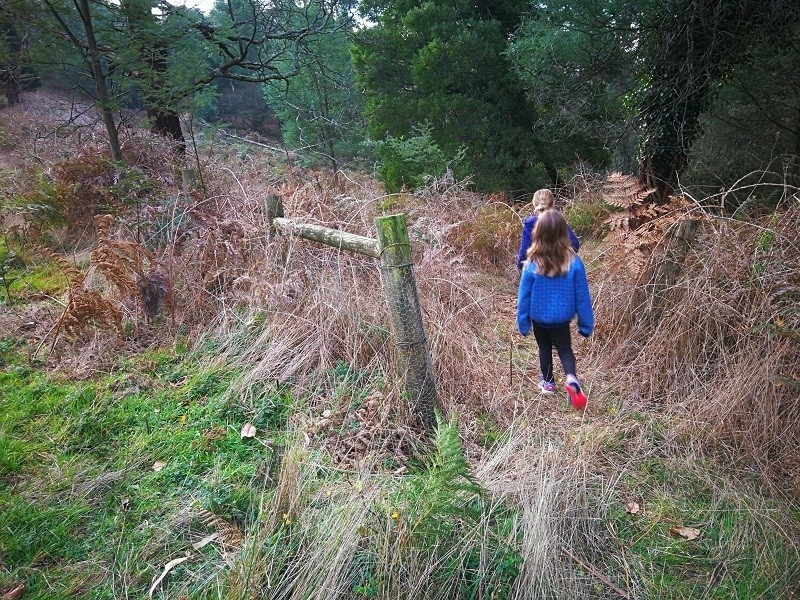 The track is closed to vehicles and borders the Dandenongs National Park. 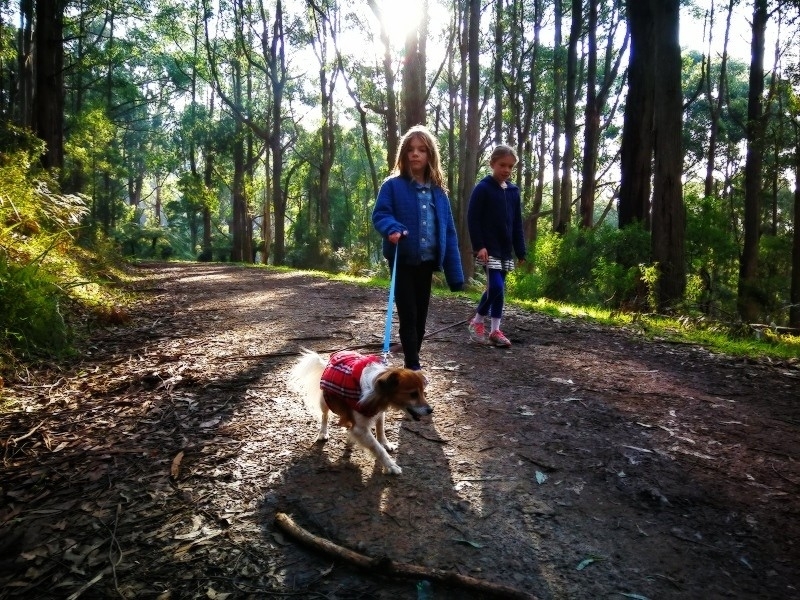 Mathias track in beautiful Olinda is one of Victoria's most popular walks for dog owners and their four-legged pals. The track is closed to vehicles. As it border the Dandenongs National Park Mathias track is strictly an on-lead only walk. Fox baits are laid in the National Park another very good reason not to let your dogs off-lead if the threat to native fauna and flora is not enough incentive. 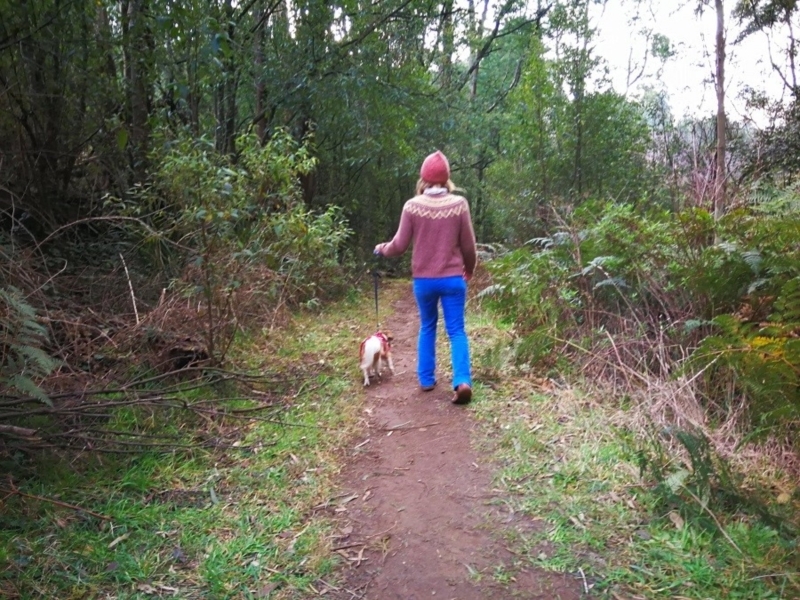 While dogs must be on-lead along the track, the Falls Road end of Mathias track runs adjacent to the Old Olinda Golf Course (no longer in use) - a very popular place for local dog owners to set their hounds free. This map begins at the Falls Road entrance to Mathias Track, where it backs onto the the National Rhododendron Gardens. There is a small car park at the entrance to the track. 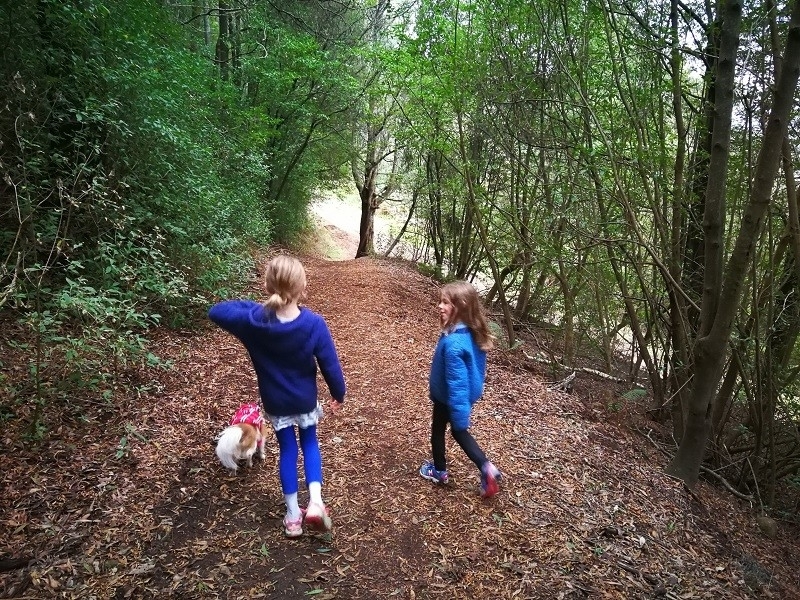 While you could choose to walk the whole length of Mathias track - about 7km one way to reach Silvan Road, this map takes a detour where Mathias Track meets the Gold Course track - and turns this walk into a shorter loop walk for dog owners. As you walk along Golf Course track you may wish to cross the fence line and make your way up onto the gold course itself. Follow this map for the route we took. 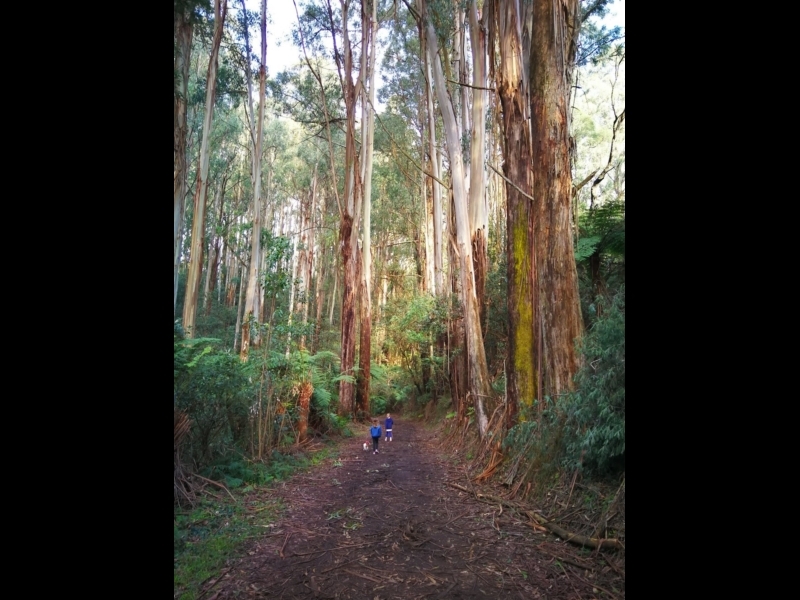 This is a beautiful walk - and a rare one where dog owners can take in some fantastic, giant eucalypt forests together with their pet. Mathis Track is a great place for dog-walking (on-lead!) It is relatively quiet and you can walk all the way from Falls Rd to Silvan Road (about 7km) without encountering any vehicles. We began our walk form the Falls Road entrance, which is nicer and easier to find. Mathias track is popular with horse riders as well as dog owners. The forest here includes giant Mountain Ash, Manna Gum, Mountain Grey Gum and Messmate. At four-way intersection continue straight along Mathias, or turn left onto Black Hole Track, or we turned right onto Golf Course Track which takes you through this grove of Silver Birches. 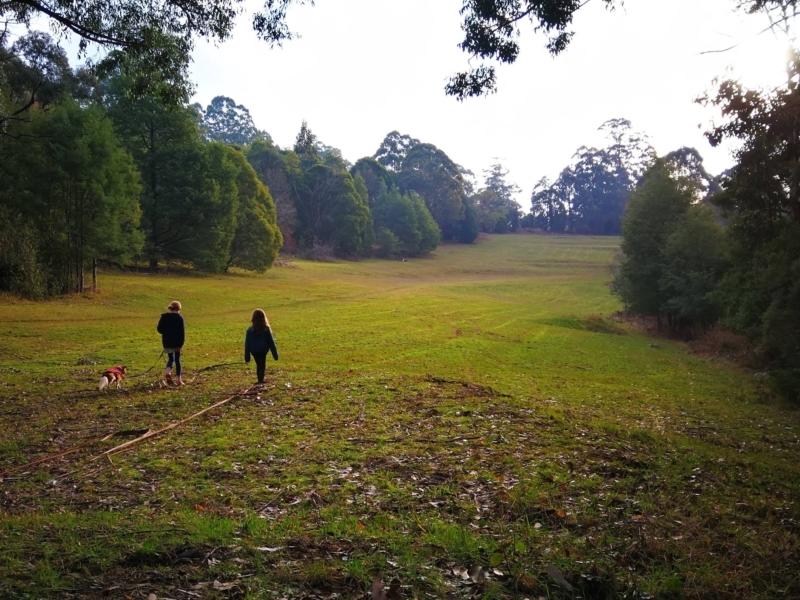 Yarra Ranges Shire Council are currently in the process of turning the former golf course into 34 hectares of public parklands. 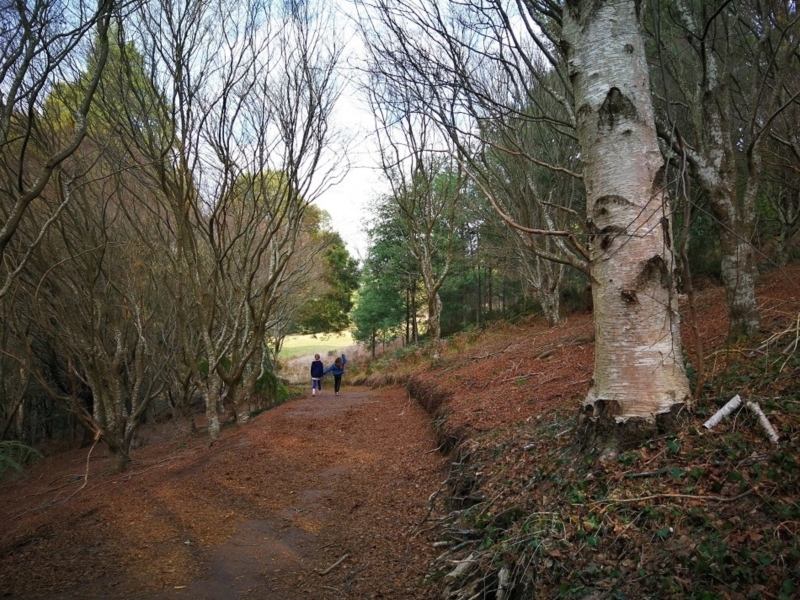 See the plans in link, including proposed dog off-lead area. To get back onto Golf Course track find an opening in the fence line (there are many) but be careful of blackberry bushes! You'll see a small sign pointing the way to Cournus Track (visible on Google maps also) from Golf Course Track. Either takes you back to Mathias Track. Turn left here to head back along Mathias Track to the Falls Road carpark. 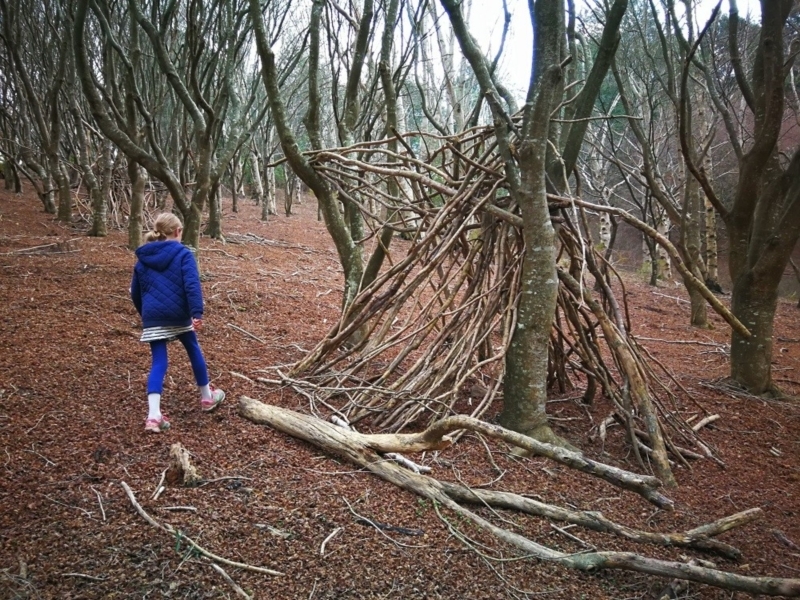 There are lots of open forested areas along the way to explore. It's pretty easy to find your way back to Mathias track from where you can continue along Mathias towards Silva Rd, or head left back to the car park on Falls Road. If you opt for the longer walk and do the whole length of Mathias Track, this is where you will finish up.